Motor vehicle collisions, work-related injuries, or exposure to a traumatic event can result in psychological difficulties that affect your ability to function. Dalton Associates’ rehabilitation programs offers accessible and safe support for individuals dealing with these challenging experiences. Third parties (attorneys, insurance companies). 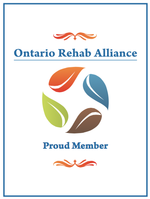 Rehabilitation Services fees may be covered by third party insurance plans (e.g. WSIB, Motor Vehicle Insurance, or extended health insurance benefit plans), and billed directly to third party payers. Services will be provided in accordance with the employer`s ethical business/licensing standards policy and all Financial Services Commission of Ontario licensing regulations. Please contact visit our Fees and Insurance page for more information, or call our Client Care Centre at 888-245-5516. Individuals who have been victimized as a result of a crime often experience challenges in maintaining mental wellness. If you have been a victim of a crime and require mental health support, Dalton Associates can help find you a therapist who is a cultural and personal fit, and has experience supporting your unique challenges. Dealing with the aftermath of a car accident can be challenging and confusing. Aside from dealing with any physical injuries you, or your loved ones, may have experienced from the car accident, there may be other changes you notice. Making the decision to take time off work can be difficult. There may be certain times in life, however, when a short-term leave from your employment is necessary. Individuals who require long term disability are often transitioning from short term disability; a process that can be challenging and stressful. At this point in time, you have already been away from work for a short period of time, but may be realizing that extending your leave is necessary. An injury in the workplace can be a traumatic and frightening event. Quite often, people are unprepared for the emotional and mental health impact that the experience can have on their daily lives.